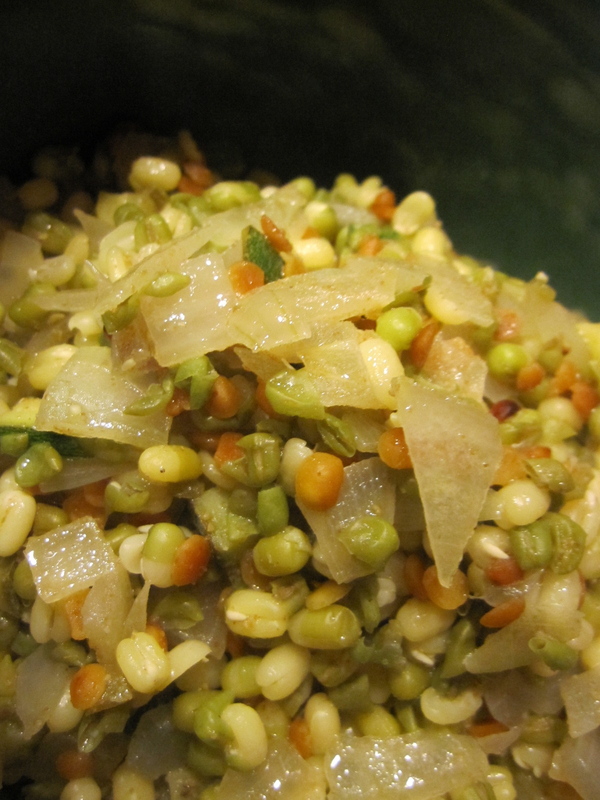 Slightly Sprouted Green Lentil Salad | Laura's "Rules"
Moong (or mung) beans are eaten far more in Indian cuisine than American, but they shouldn’t be. For a dose of health, you can’t do much better than these. 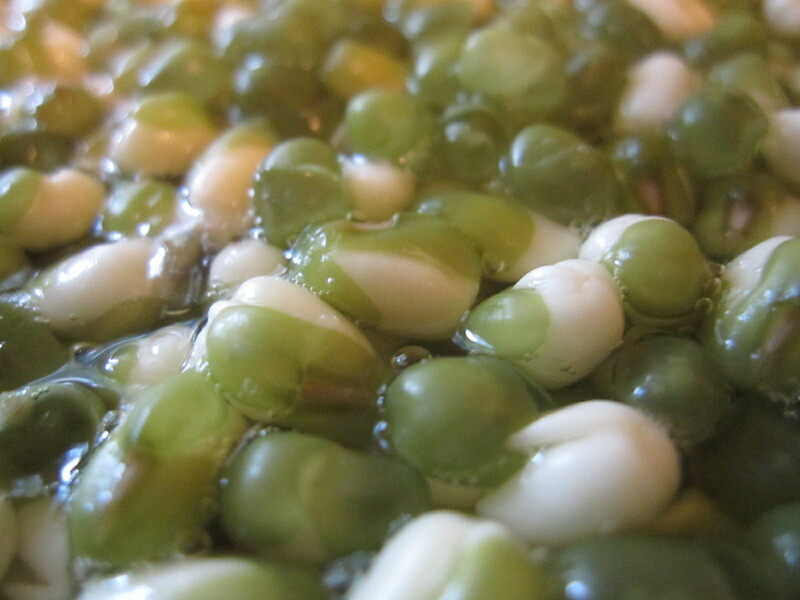 The small, oval dark green lentils known as “moong dal” or “green gram” are high in protein, and Vitamin C, and also contain magnesium, phosphorus and potassium in smaller amounts. More importantly, they are delicious, and especially when sprouted, very digestible for both adults and toddlers. The flavor is slightly nutty, and they are filling and comforting food. 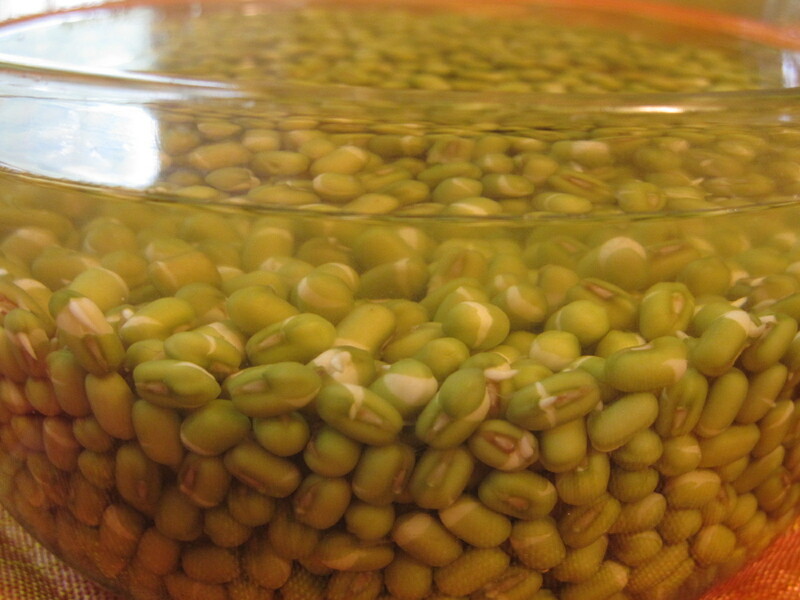 Place the beans in a vessel with some room in it for expansion and cover with water for 3 days. Twice every day, rinse and replace the water — once at morning and once at night. On the third day, you’re ready! Over low to medium heat in a deep saucepan, saute the onions, garlic and spices. Drain and add the beans to the pan, stirring in the spices and salt and pepper, and warm them through. Remove from the heat. Optional addition: roast the toor dal in a small amount of oil in a separate pan and set it aside. This adds texture and crunch, but is not completely necessary. 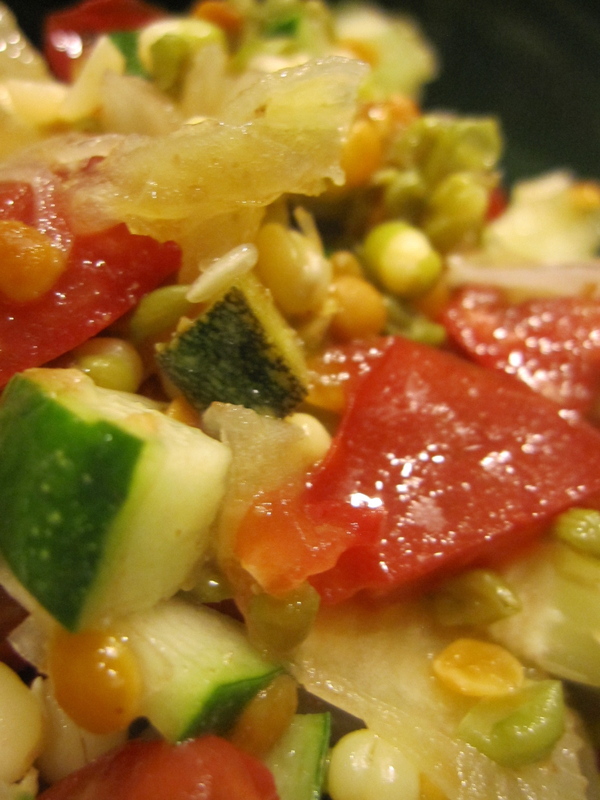 Add the tomatoes, cucumber and zucchini, carrots, and last the fresh cilantro and fresh lime juice and combine. Top with another shake of salt and pepper. Serve while still slightly warm. 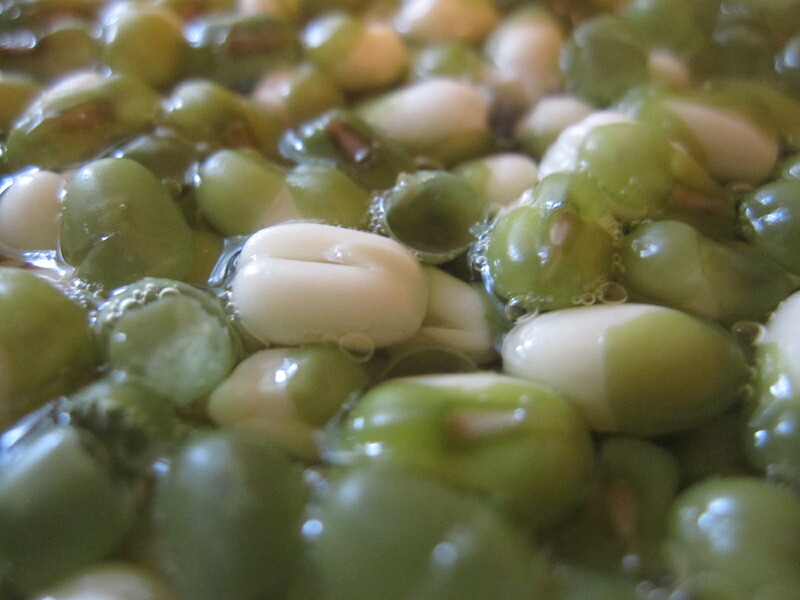 This entry was posted in Recipes & DIY and tagged Bean, Chili pepper, cook, Coriander, dinner, easy, food, green, green gram, health, healthy, Indian cuisine, infancy, lentils, moong bean, Mung bean, Olive oil, organic, Pigeon pea, recipe, recipes, salad, sprouts by Laura MacCleery. Bookmark the permalink.